... should give the Bible a chance to amend Piers Morgan. I've already mentioned Anthony Phillips in this series, but when Ant comes out with a new volume in his Private Parts and Pieces catalog, that is noteworthy indeed. Here are a few of the tracks (those that have earned five stars on my iTunes carousel) from his latest, Volume 11, otherwise entitled, City of Dreams. The interesting thing about this album, if one scans the titles of all these instrumental tracks, is how difficult Ant apparently finds it to focus strictly on urban themes. That theme is held together by the undeniably metropolian artwork, and two series of tracks called City of Dreams (Parts I-IV) and Mystery Train (Parts I-III). Otherwise, the titles are often pastoral (Air & Grace, Act of Faith), rural or oceanic (Sea & Sardinia, Sunset Pools, Across the Steppes, Coral Island), and celestial (Sea of Tranquility, Astral Baths, Star's End, etc.). Even 39 Steps, for those familiar with the book and the movie of the same title, evokes more of a seaside setting than a cityscape. The technological and urban feeling is also anchored by tracks like Piledriver and Night Train ..., but one gets the sense that the latest addition to the Private Parts ... series would sound better in, say, an "HGTV Urban Oasis" than on the street itself. If one were to search Ant's impressive catalog for something comparable, the first stop should be PPP VII, Slow Waves, Soft Stars, for its ethereal use of synths and other electronic keyboards. But, hey, when it comes to the good news of God's gift of a Savior at Christmas, it really is, "Peace on earth among people of good will" [en anthropois eudokias], no other boundaries or qualifications withstanding. You can read about this sobering assessment by Civitas here. is now available at Christian Book Distributors. 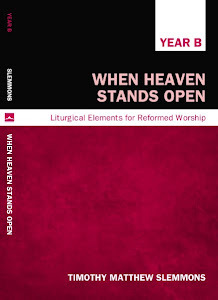 I probably should have mentioned this a month or so ago, but Call to Worship is a helpful denominational (Presbyterian) resource, edited by David Gambrell, with associate editor (UDTS graduate) Jana Blazek, for planning worship in Reformed and Presbyterian congregations. 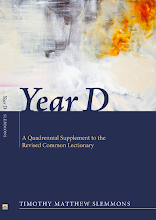 It just so happens I contributed the Prayers of Confession for the current issue (Lectionary Aids for Year C, Volume 46). These, by the way, are not the same Year C prayers that I've been slipping in here on occasion. Our good friends at Pittsburgh Seminary will host a memorial service today (December 17, 2012) for this gracious and mighty champion of Christian missions. Please join them in giving thanks and praise for her winsome witness and her many years of service to the King of kings. Eliminate the USDA's Wyoming Wildlife Service. Horrific as the shootings in CT are, the reactionary inclination to insist that gun control is the solution is at once predictable, impractical, and simplistic. The suggestion made by law professor Glenn Reynolds on an entirely different front: the need to increase tax revenues, namely, by eliminating the Hollywood tax cuts, applies here, only more so. I say tax horror movies and films that depict and exalt torture, abuse, and violence at 10 times earnings. Yes, people will remain constitutionally free to make such films, only — as with Obama's policy on building coal plants — "it will bankrupt them." In the meantime, it will both raise needed revenues, and clean up the culture of Hollywood, at least in part, by stripping the profit motive from those who think its cool to create and feed a culture of massacre, mayhem, and murder. For the fact is, it is not just children who imitate what they see. Here's a sermon illustration for you, if there ever was one. How does God execute justice and show redeeming love at the same time? This story might give you an inkling. Anne Lamott's new book, Help, Thanks, Wow: The Three Essential Prayers seems to overlook one that has been rather important for those of the Presbyterian/Reform tradition. It goes like this: Sorry. A quick search — yes, I confess I have not read what looks like a "quick read" book, only the free excerpts ... sorry! — shows the word only occurs twice in the book (once sarcastically, so that doesn't count). "Forgiveness" occurs once, "forgive" twice, "repent" once (but she soon retracts it). So, evidently "Sorry" is not a major theme, neither does it (for Lamott) constitute an essential prayer. Lamott is a witty writer who evokes a lot of sympathy (I'm truly sorry about her cat, and the serial human losses she endures), and I don't wish to detract from what she has to say about Help or Thanks or Wow. But when it comes to what we consider "the essential," shouldn't the "Reform" tradition in the age of Twitter expect just a bit more — if only five more titular keystrokes — of its leading literary lights? Note the link added here, and at right, to the Englewood Review of Books. Just a wee addendum to my earlier series on Music for the Pastor's Study: I am thoroughly enjoying this CD from Steve Hackett, entitled Tribute. One of his best, most consistently contemplative, in a long time. Lots of great material for exegetical brooding! Hieropraxis is another cool website worth exploring. Subtitled "literature and faith, truth and beauty," it's a forum for a half-dozen or so astute poets and creative scholars from diverse backgrounds, but with an apologetic bent. UPDATE: Link added at right. So, having cancelled my subscriptions to just about everything a while back, ... and having added back a journal or two (I have a soft spot for Journal for Preachers and Interpretation), I subscribed to Ruminate the other day. A visually cool journal of poetry, short stories, etc., it operates from an intentionally Christian worldview, without being all ... "you know" ... about it. (How's that for a deft choice of words?) Who knows? Perhaps some sympathetic ruminant will review my nifty new volume, The Just Quiet Wind. UPDATE: Link to Ruminate added at right. Among the many challenges Year D presents, beyond the sermonic, is the fact that so many hymnals and songbooks overlook these texts as well. 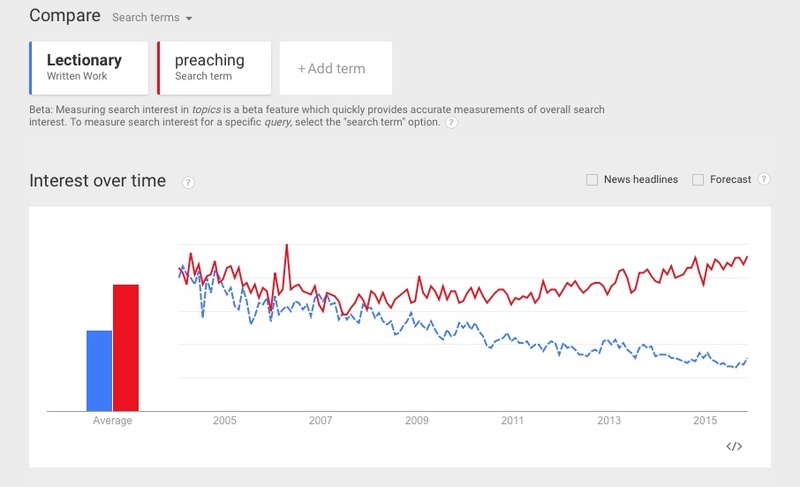 Search through the scripture index of your denomination's hymnal, and the odds are that, if the text is not in the lectionary, neither is it going to appear in your lectionary-based hymnal. One of the wonderful things about the liturgical history of the church, however, is the fact that preachers who may not have had any particularly outstanding musical gifts, when they put their minds and pens to it, came up with some great hymns and spiritual songs, sometimes a tune, sometimes a lyric or psalm paraphrase, and in certain cases both. Wouldn't it be cool if a gaggle of Christian songwriters, or a flock of shepherds, so to speak, applied themselves to the challenge of writing new hymns and songs based on Year D texts? Yeah, I think so, too. I say, go for it.